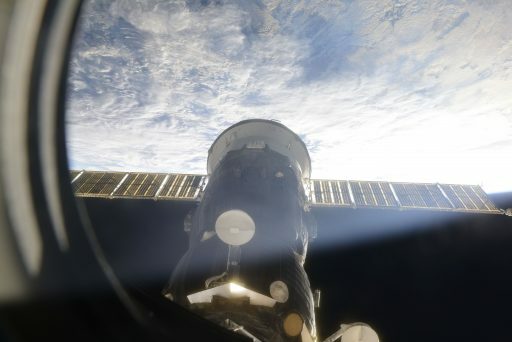 The Progress cargo ship linked up with ISS 400 Kilometers above South America after a fully automated approach to the Pirs Docking Compartment where the vehicle will reside for the next five months, facilitating the transfer of 2,405 Kilograms of food, fuel, water and supplies for the Russian Segment of the Station. 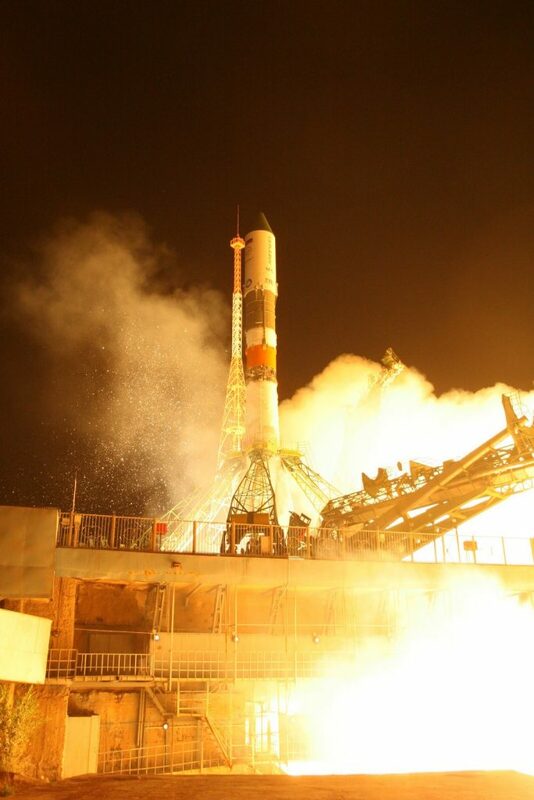 Progress MS-03 received a smooth nine-minute ride atop a Soyuz U rocket blasting off from the Baikonur Cosmodrome at 21:41 UTC on Saturday, 3:41 a.m. local time Sunday. While Progress was still riding into orbit, Jeff Williams caught a glimpse of the spacecraft through the Cupola Windows, sharing a photo via Social Media showing the bright exhaust of the rocket’s third stage after flying into an orbital sunrise. 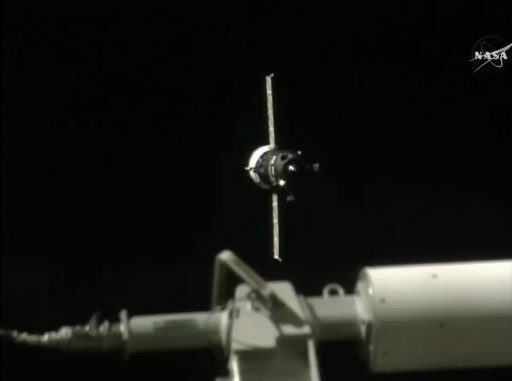 Progress was in fact injected into orbit a few thousand Kilometers ahead of the Space Station, starting out around 200 Kilometers below the ISS orbit and quickly pulling out in front to catch up nearly an entire orbit over the course of its two-day rendezvous. 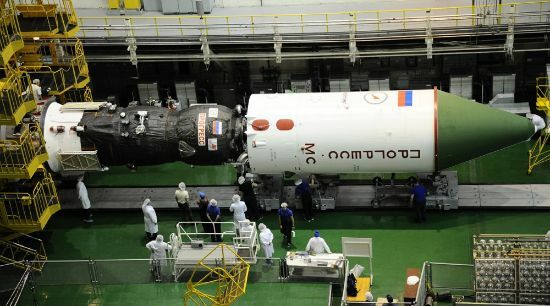 Initial tests of the spacecraft occurred in the minutes after orbital insertion before Progress headed into a more in-depth testing program focused on the MS systems modifications inaugurated last December and representing the latest round of upgrades to Russia’s Soyuz and Progress fleet. Although the new systems showed good functionality on the first three flights – two Progress and a Soyuz mission, engineers desired to gather additional testing data in the operational in-orbit environment. Therefore, Progress MS-03 was placed on a 34-orbit rendezvous trajectory, giving Mission Control two days to test out the new systems, mainly focused on Navigation, Control and Communications. The MS-class spacecraft replace the old Kvant-V radio of the Progress & Soyuz with a Unified Command and Telemetry System. Through the new system, the vehicles are capable of communicating with the Luch relay satellites in Geostationary Orbit via a phased array and two omni-directional antennas affixed to the exterior of the spacecraft – expanding the coverage zone where contact with Mission Control is possible to 80% of the craft’s orbital treks. 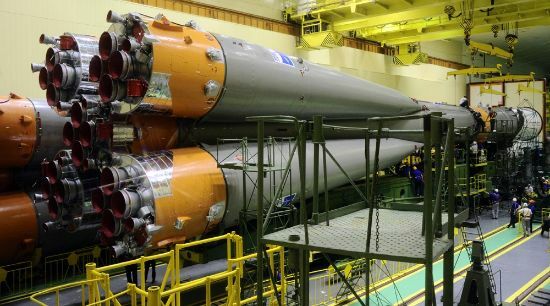 Also, GPS and Glonass receivers enable the spacecraft to automatically calculate its orbit and a proximity communications link allows ISS and Progress/Soyuz to exchange navigation data. Progress MS-03 is also the first to feature four external compartments for the release of small CubeSats into orbit. It is unknown whether this mission actually carries satellites or only completes a test of the deployers – no objects associated with Progress were tracked in the early phase of its flight. Starting out in an orbit of 194 by 243 Kilometers, Progress went through checks of its propulsion system after its first lap around the planet, setting up for a pair of engine burns on Orbit #3. The two KTDU-80 burns, each over 50 seconds in duration, lifted the Progress into a 277 by 284-Kilometer orbit and a fine-tuning maneuver placed the spacecraft in the correct position for rendezvous initiation. The SpaceX Dragon, launched from Florida Sunday night, overtook Progress in terms of orbital altitude on Monday by making a series of Height-Adjust and Coelliptic burns to enter a 391 by 393-Kilometer orbit from where it chases ISS down for a Wednesday arrival. Following a very different rendezvous profile, Progress continued approaching from an orbit well over 100 Kilometers below ISS, leaving the final climb to be completed in the last two hours of its rendezvous via a series of impulse burns. Progress MS-03 initiated its fully automated rendezvous sequence at 22:03 UTC on Monday, shortly thereafter followed by the DV-4 impulse burn – a large engine firing lifting the spacecraft’s orbit and placing it on a trajectory into the 200-Kilometer communications zone around ISS where relative navigation is possible. ISS was handed to Russian Thruster Control at 22:30 UTC and prepared for the arrival by a slight attitude adjustment of the complex. 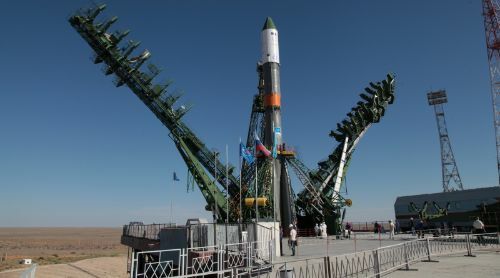 The new KURS-NA radio navigation system of the Progress was powered up around 22:50 UTC along with its KURS-P counterpart on the Space Station to mark the start of the relative navigation phase of the rendezvous. KURS-NA eliminates two omni-directional VKO antennas and the complex, rotating 2AO antenna that are being replaced by the AO-753A Phased Array Antenna. AO-753A was in charge of first finding the direction of the Station’s beacon signal & then automatically orienting Progress toward the signal direction for pitch and Line Of Sight (LOS) angle measurements. Later on, the two ASF-1 antennas, retained from the old KURS-A system, came into action to lock onto ISS at close range for range and rate measurements in addition to the angular information. 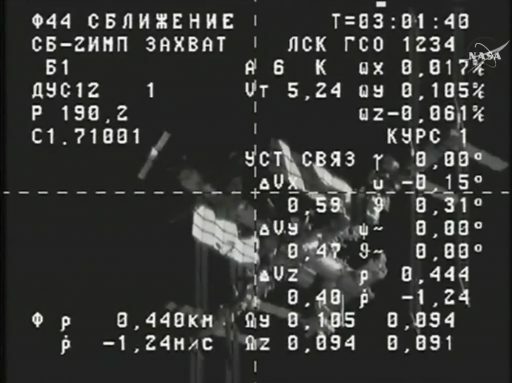 Guided by KURS, Progress performed a pair of engine burns, aiming for a point 1 Kilometer from the Space Station with the intentional targeting offset to be reduced later in the rendezvous. KURS-NA data was checked twice, at 80 and 15 Kilometers, to verify the system was delivering accurate readings. Aboard ISS, Anatoli Ivanishin and Aleksey Ovchinin were on station in the Zvezda module, watching over the approach and completing a checkout of the spacecraft’s remote-control system at a distance of around 5 Kilometers, confirming they could manually fly the craft in case of problems with KURS. Heading into the last five Kilometers, Progress hit the brakes by using its DPO thrusters for three maneuvers. DPO on the new MS spacecraft uses a new architecture, eliminating low-thrust engines and instead only featuring 130-Newton thrusters arranged in 14 pairs to provide a fully redundant motion control system. 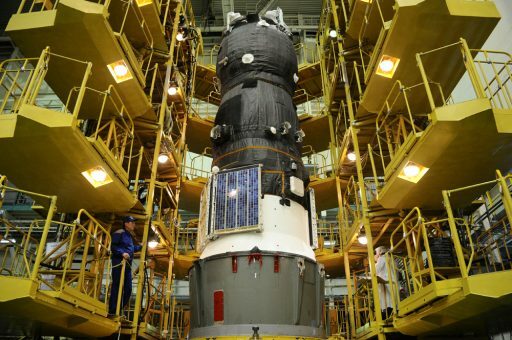 When reaching a distance of 400 meters, Progress automatically initiated its flyaround – a slow lap around the Space Station to line up with the Earth-facing Pirs module that sat vacant since July 3 when Progress MS-01 departed the station. No issues were reported during the Flyaround and Progress came to a planned stop 190 meters from Pirs – showing excellent alignment and stability, permitting teams to skip the Stationkeeping period and command Progress into final approach almost immediately. 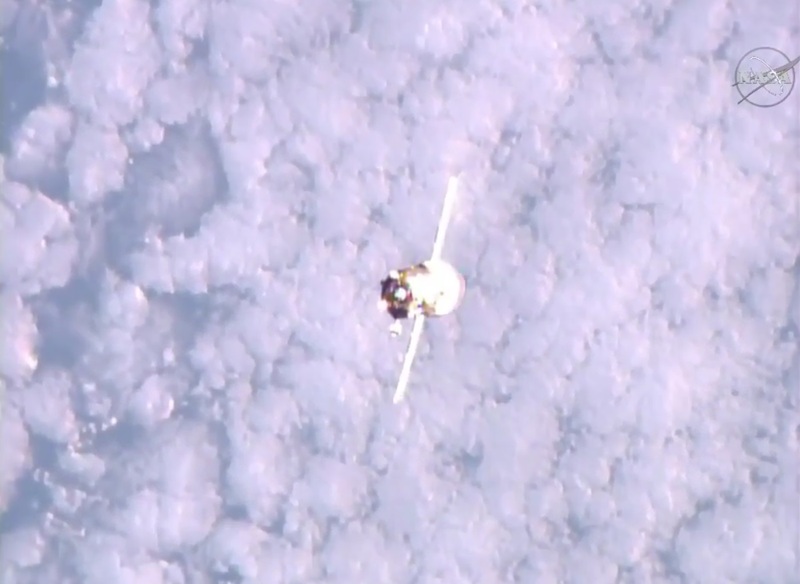 Pulsing its DPO thrusters, Progress initiated a closing rate of 0.8 meters per second to begin its final approach. The vehicle maintained good alignment with the docking target throughout approach, slowing down to just 0.1m/s for contact. Contact and capture occurred at 0:20:30 UTC while the Station was flying over Chile. 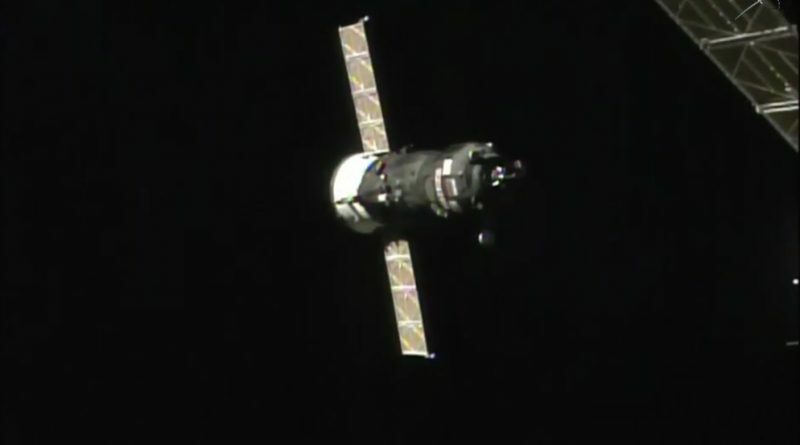 Upon sensing contact, the Space Station switched into Free Drift and Progress fired its X-axis DPO thrusters to push in so that capture latches would engage to guarantee a safe docking. 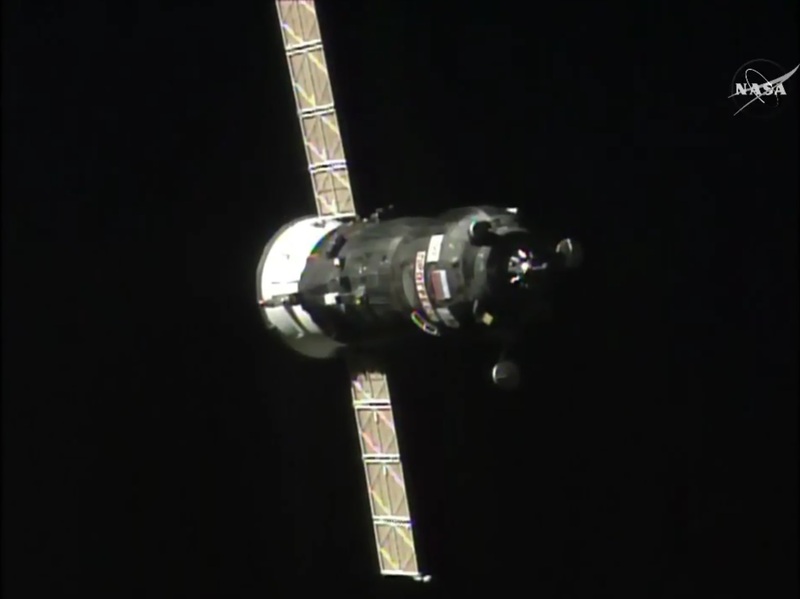 The docking probe was retracted a short time after capture was confirmed and hooks were closed to establish a hard-mate between ISS and Progress, clearing the way for the standard leak check to be completed before hatch opening later on Tuesday. With Progress successfully docking to ISS, the path is clear for the SpaceX Dragon – set for rendezvous initiation in the early hours on Wednesday to link-up with ISS from behind and below. Unlike Progress, Dragon will climb up to ISS from straight below and come to several stops along the way for checkouts of its systems before moving up to a point 10 meters from ISS to be captured by the Station’s robotic arm controlled by Expedition 48 Commander Jeff Williams. Capture of the Dragon spacecraft is expected around 11 UTC on Wednesday to be followed by berthing to the Earth-facing port of the Harmony module later in the day to kick off a five-week stay.